When it comes to small groups and/or events, Skibowl has you covered! Make your next group get together one to remember by taking everyone to Mt Hood Skibowl! Take Adventure to New Heights with the Mt. Hood Adventure Park! Get the best of the best at the Adventure Park with this all-inclusive day pass and over 20 attractions. Bungee jump, Zip Lines, Malibu Raceway, Reverse Bungee, and unlimited Alpine Slide, Scenic Sky Chairs, Rock Wall, Mountain Bike Park, Disc Golf, Mini Golf, Zorb Balls, Bungee Trampoline, Pony Rides, Summer Tube Hill, Super Play Zone, Kiddy Karts, Kiddy Canoes, Jacobs Ladder, Interpretive Trails, Batting Cages and more. Get unlimited play on attractions like the Alpine Slide, Scenic Sky Chairs, Disc Golf, Mini Golf, Bungee Trampoline, Summer Tube Hill, Kiddy Karts, Kiddy Canoes, Super Play Zone, Mountain Bike Park, Interpretive Trails, Batting Cages, Pony Rides and more. 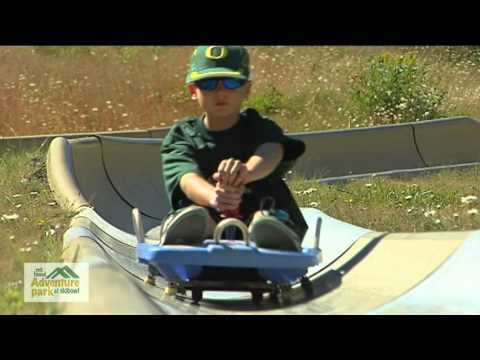 The Pacific Northwest’s only ½ Mile Dual Alpine Slide sends you flying down a half mile track of twists and turns dropping over 350 feet at speeds of up to 37 MPH. But with the brakes at your fingertips, you control your speed and the adventure. Enjoy a leisurely trip up the mountain on the Scenic Sky Chairs. The Malibu Raceway at Skibowl is a state of the art facility dedicated to racing and competition. The race track features three different style cars, with high-powered Virage Indy Cars for adults, Grand Virage two-seater Indy Cars, and the Sprint Cars (Go Karts) for families and kids (or kid at heart). 3-2-1 Bungeeee! 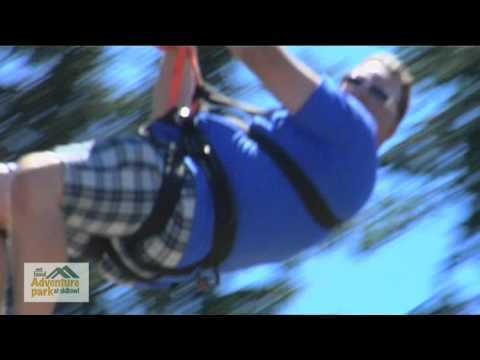 Get your maximum adrenaline rush at the 100’ Freefall Bungee Jump Tower! Get ready for that gut wrenching feeling as you approach the jump, and then lean, jump, dive or just fall off the edge for an exhilarating freefall. The tower provides the perfect location for your jump with monumental Mt. Hood in the background. Harness in and step up to the three-story tower and departure point for the 800’ long Zip Lines. We’ll lock you in and send you flying over the top of the park while you flip, twist, swing, or just hold on tight. High above the ground you’ll have a beautiful view of Mt. Hood and the Mt. Hood National Forest.